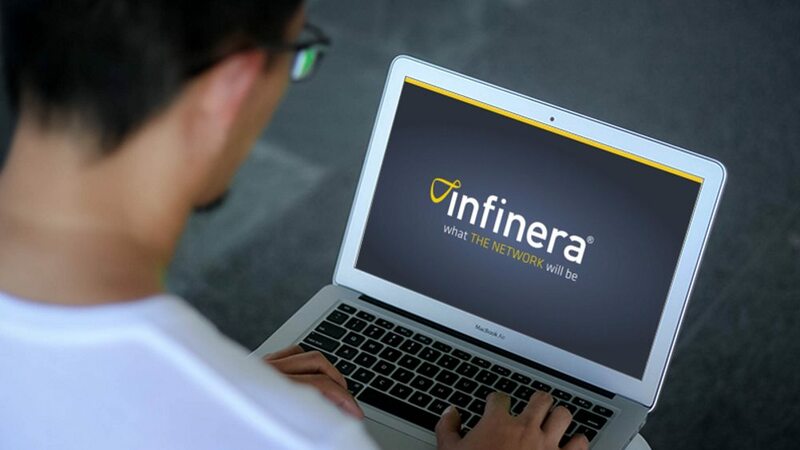 Infinera, a provider of Intelligent Transport Networks, introduced Infinera Instant Network, the next generation of software-defined capacity (SDC) for cloud scale networks and building the necessary foundation for cognitive networking. Emerging 5G mobile services, the Internet of Things (IoT), streaming video, Carrier Ethernet and cloud-based on-demand business services require increased optical network agility. With Instant Network, service providers activate SDC when revenue-generating services demand it, reducing capital expenditures by diminishing idle optical network capacity and lowering business risk by shrinking the time between paying for capacity and activating revenue-generating services. Instant Network also enables service providers to accelerate service delivery and lower operational expenditures by automating optical capacity engineering and by reducing truck rolls to install additional hardware. While the industry has made major strides in software-defined networking (SDN) to date, advancements have been around virtualizing and controlling Layer 1/2/3 services inside a fixed amount of optical capacity. Increasing optical capacity on conventional hardware-based transport systems can take months between forecasting and activating the optical capacity needed to deliver new services, which drives service providers to overprovision optical capacity by as much as 50 percent to ensure service delivery. Instant Network enables service providers to automate optical capacity engineering and scale optical capacity in minutes by using Infinera’s advanced Xceed and Digital Node Administrator (DNA) software. This allows service providers to closely match capacity deployment to the activation of revenue-generating services and to eliminate multiple planning and provisioning steps that previously required numerous manual tasks. Instant Network builds on the success of Infinera Instant Bandwidth, the industry’s first solution for SDC, providing the foundation required to deliver cognitive networking. Infinera introduced Instant Bandwidth in 2012, enabling for the first time software activation of service-ready optical capacity in a few hours on networks powered by the DTN-X platform and equipped with Infinera’s unique photonic integrated circuits (PICs). Infinera introduced Time-based Instant Bandwidth in 2015, enabling software activation of bandwidth licenses for a limited duration. To date, more than 70 of Infinera’s customers use Instant Bandwidth, including half of DTN-X XTC customers, the top three subsea customers and over 60 percent of data center interconnect customers. Instant Network amplifies the power of Instant Bandwidth by adding Bandwidth License Pools, Moveable Licenses and Automated Capacity Engineering (ACE), and by extending SDC to new Infinera platforms. These new platforms support flexible grid and sliceable 2.4 terabit super-channels powered by the Infinera Infinite Capacity Engine. – Bandwidth License Pools: The new Bandwidth License Pool functionality enables service providers to activate capacity at the same time an invoice is issued for that capacity, reducing capital expenditures for idle capacity. This new capability enables capacity to be deployed in minutes, while previously, service providers would purchase a license before the capacity was software-activated, which resulted in deployment taking a few hours. – Moveable Licenses: New Movable Licenses enable service providers to use software to move bandwidth licenses across the network as traffic conditions change or fiber cuts occur. Previously, licenses were fixed to a specific line module or platform. Moveable licenses reduce capital expenses by reducing idle capacity provisioned specifically for network resiliency and increase agility when responding to customer demands for new services. – Automated Capacity Engineering (ACE): The new ACE application takes previously manual offline route and capacity planning processes and implements those algorithms in a microservices-based path computation element (PCE). ACE understands optical impairments and computes optimal Layer 0 routes between nodes across multiple paths, including automatic routing and wavelength assignment with multiple path constraints such as traffic engineering cost, distance and latency. The future of the Intelligent Transport Network is cognitive networking, which includes advanced analytics, machine learning from streams of network telemetry data, autonomous operation of routine tasks, predictive analysis of network problems before they occur and proactive recommendations for network optimization to further reduce operational expense and improve service reliability. Instant Network builds a critical foundation for cognitive networking, including implementing and advancing the industry’s only software-defined capacity offering. Infinera Instant Network capabilities are planned across the Infinera DNA software and the Xceed Software Suite. Instant Network Bandwidth License Pool and Moveable Licenses are available now. ACE is planned for 2018.